A federal judge temporarily shut down a South Florida-based operation called Simple Health Plans that allegedly collected more than $100 million from tens of thousands of consumers for plans dubbed Trumpcare and simplemedicareplans. The Federal Trade Commission alleged Simple Health Plans owner Steven Dorfman and five others misled consumers to think they were buying comprehensive insurance. Instead, the customers paid as much as $500 per month for what was actually a medical discount program or else an extremely limited indemnity program with a maximum benefit of $3,200 per year. Most of the sales of the allegedly fraudulent plans occurred over the last three years. Fraud experts and state regulators worry that health insurance scams will proliferate as the Trump administration promotes leaner, cheaper alternatives to comprehensive Affordable Care Act health plans, such as short-term plans and association health plans. They warn that individuals and small employers desperate to find cheaper premiums as ACA market rates have increased will be particularly vulnerable to operators promising prices that are too good to be true. "So many new plans are being put into the marketplace that people are likely to be confused by all the choices," said James Quiggle, communications director for the Coalition Against Insurance Fraud, which includes the Blue Cross and Blue Shield Association and the National Association of Insurance Commissioners. "The intent may be good, but healthcare coverage is complicated enough, and now we're adding more layers of complexity." According to the FTC's complaint, Simple Health lured consumers through a network of deceptive lead-generation websites that claimed to offer information about comprehensive insurance. The sites misleadingly featured the logos of AARP or major insurers such as Blue Cross and Blue Shield plans. Consumers who submitted their contact information to one of these websites or called a toll-free phone number ended up talking with telemarketers working for the defendants, who often falsely identified themselves as licensed insurance agents, the FTC said. Thinking they had purchased comprehensive PPO plans, these consumers found themselves uninsured and saddled with uncovered medical bills. 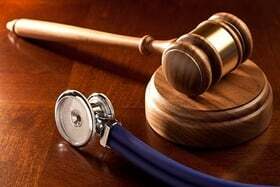 The defendants charged with violating the FTC Act and the agency's Telemarketing Sales Rule are Dorfman, Simple Health Plans, Health Benefits One, Health Center Management, Innovative Customer Care, Simple Insurance Leads and Senior Benefits One. A preliminary injunction hearing is scheduled for Nov. 14 before U.S. District Judge Darrin Gayles in Miami. "This is a potentially dangerous environment for consumers looking for new alternatives for their health needs," Quiggle said.